From 2009 - 2011 I had a two year ESRC Small Grant (£98k) to study Climate change and Social Policy: Rethinking the political economy of the welfare state. This work continues now with research assistance funded by the Grantham Research Institute. See below for publications. Gough, I. 2013. Climate Change, Social Policy, and Global Governance. Journal of International and Comparative Social Policy, 29(3), 185-203. This paper also features in Kaasch, A. and Stubbs, P. (eds.) 2014. Transformations in Global and Regional Social Policies. Palgrave Macmillan. A copy of this chapter can be found here. Gough, I. 2013. Carbon Mitigation Policies, Distributional Dilemmas and Social Policies. Journal of Social Policy, 42(2), 191-213. Gough, I. 2013The Challenge of Climate Change for Social Policy. Plenary lecture delivered at the Social Policy Association annual conference at Sheffield University, July 10 2013. Gough, I. (2011)Climate Change, Double Injustice and Social Policy: A case study of the United Kingdom. UNRISD Occasional Papers on Green Economy and Sustainable Development. Gough, I. 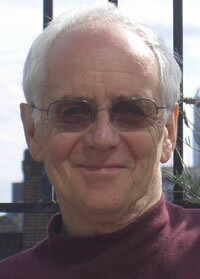 (2011) Climate Change, Double Injustice and Social Policy: A case study of the United Kingdom. UNRISD conference on Green Economy and Sustainable Development: Bringing Back the Social Dimension, Geneva, 10-11 October 2011. Find a follow-up blog post in the New York Times here. Gough, I. (2011). Climate Change and Public Policy Futures. A Report prepared for the British Academy. Gough, I., Abdallah, S., Johnson, V., Ryan-Collins, J., & Smith, C. (2011). The distribution of total embodied greenhouse gas emissions by households in the UK, and some implications for social policy. CASE Paper 152, London School of Economics and Political Science. Translation into Armenian can be found here. Gough, I., & Marden, S. (2011). Fiscal costs of climate mitigation programmes in the UK: a challenge for social policy? CASE Paper 145, London School of Economics and Political Science. Gough, I. and Meadowcroft, J. (2011). Decarbonising the Welfare State. In Oxford Handbook of Climate Change and Society, edited by John S. Dryzek, Richard B. Norgaard and David Schlosberg, Oxford University Press. Find the chapter in Italian here. Gough, I. (2011) Compensating for Climate Mitigation: can social policies ameliorate the regressive effects? Grantham Research Institute seminar, London School of Economics and Political Science. 20 October 2011. Gough, I. (2011)The New Social Risk of Climate Change: implications of climate change for European welfare states. 9th ESPAnet Annual Conference, Valencia, September 2011. Gough, I. (2011) The New Social Risk of Climate Change: implications of climate change for European welfare states. 18th International Conference of Europeanists, Barcelona, June 2011. Review of Stuart Sim, The End of Modernity: What the Financial and Environmental Crisis is Really Telling Us? Find the review here. Gough, I. (2010) Economic Crisis, Climate Change and the Future of Welfare States. Twenty-First Century Society, 5(1), 51-64. Gough, I. (2010) Climate mitigation policies, social justice, and social policies. Seminar at Centre for Analysis of Social Exclusion, London School of Economics and Political Science, 8 December 2010. Gough, I., Meadowcroft, J., Dryzek, J., Gerhards, J., Lengfeld, H., Markandya, A., & Ortiz, R. (2008). Climate change and social policy. Journal of European Social Policy,18(4), 325-344. Gough, I. (2014)'Lists and Thresholds: Comparing the Doyal-Gough Theory of Human Need with Nussbaum's Capabilities Approach'. In Comim, F. and Nussbaum, M. Capabillities, Gender, Equality: Towards Fundamental Entitlements . Cambridge: Cambridge University Press. Gough, I. (2011) Bedürfnis; (Need). In Politische Theorie und Politische Philosophie: Ein Handbuch, edited by Martin Hartmann and Claus Offe. Munich: C.H.Beck, pp. 164-167. Devine, J., Camfield, L., & Gough, I. (2008). Autonomy or dependence or both? : perspectives from Bangladesh. Journal of Happiness Studies, 9(1), 105-138. Gough, I. and McGregor, J.A.(2007). 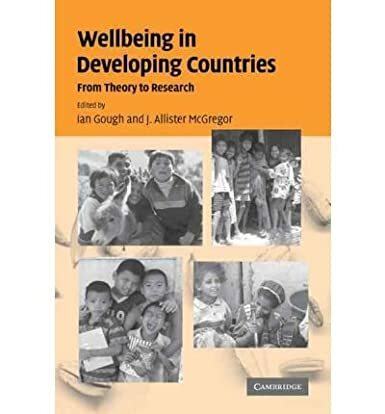 Wellbeing in Developing Countries: From theory to research. Cambridge: Cambridge University Press. 'This is a beautifully constructed and apposite book for those seeking hope amid today's economic crisis and who work in development from any discipline or background. It challenges the conventional wisdom of money, commodities and economic growth as our main ways of understanding development and poverty and could have as much impact on development as Lanyard has done for the relationship between happiness and wealth. It is written by those and for those seeking a more inclusive model for understanding how people in developing countries see themselves and the possibilities of change' Patricia d'Ardenne, Chartist. Gough, I. (2004). Human well-being and social structures: relating the universal and the local. Global Social Policy, 4(3), 289-311. Gough, I. (2003). Lists and Thresholds: Comparing the Doyal-Gough Theory of Human Need with Nussbaum's Capabilities Approach. Wed Working Paper no.1, Universitty of Bath. Doyal, L. and Gough, I. (1991). A Theory of Human Need. Macmillan Press. 'What is important and original (and doubtless in the eyes of some, presumptuous) about their project is that it not only tells us what our basic needs are (those of health and autonomy), but offers empirical criteria for the meeting of these goals' Kate Soper, New Left Review. Gough, I. (2013). The Political Economy of Prevention. British Journal of Political Science. Gough, I. (2012). Understanding Prevention Policy: A theoretical approach. London: New Economics Foundation. Gough, I. (2012). The global future of social policy. Opening lecture of the International Seminar on Social Protection and Citizenship Today Fluminense Federal University, Niteroi, Rio de Janiero, November 2012. Gough, I. (2011). Re-reviews: the political economy of the welfare state by Ian Gough. Review by Michael Hill with reply by Ian Gough. Social Policy & Administration, 46 (5), 582-587. Gough, I. (2011). From Financial Crisis to Fiscal Crisis. In Social Policy and Economic Crisis, edited by Kevin Farnsworth and Zoe Irving. Policy Press. Gough, I. and Therborn, G. (2010). Global Futures of the Welfare State. In Oxford Handbook of Comparative Welfare States, edited by Francis G. Castles, Stephan Leibfried, Jane Lewis, Herbert Obinger, and Christopher Pierson. Oxford: Oxford University Press. 703-720. Gough, I. (2008). The Political Economy of the Welfare State' briefly revisted. An introduction to the Greek edition of the book 2008. Gough, I. (2000). 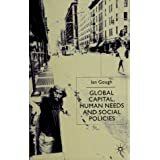 Global Capital, Human Needs and Social Policies: Selected Essays 1994-99. London: Palgrave. Gough, I. and Olafsson, G. (1999). Capitalism and Social Cohesion: Essays on Exclusion and Integration. London: Macmillan Press. Gough, I., Bradshaw, J., Ditch, J., Eardley, T., & Whiteford, P. (1997). Social assistance in OECD countries. Journal of European Social Policy 7(1), 17-43. Pfaller, A., Gough, I., & Therborn, G. (Eds.). (1991). Can the welfare state compete? : a comparative study of five advanced capitalist countries. Macmillan Pub Limited. Also available in Spanish. Gough, I. (1979). The Political Economy of the Welfare State. Macmillan Press Ltd. Reprinted 14 times. Also available in Spanish, Italian, Swedish, Korean, Chinese and Japanese. Gough, I. (1975). State expenditure in advanced capitalism. New Left Review, 92,53-92. Gough, I. (1972). Marx's theory of productive and unproductive labour. New Left Review, 76, 4S7-72. Gough, I., & Abu Sharkh, M. (2011). Financing welfare regimes: mapping heterogeneous revenue structures. International journal of social welfare, 20(3), 280-291. Sharkh, M. A., & Gough, I. 2010. Global welfare regimes a cluster analysis. Global social policy, 10(1),27-58. Gough, I. (2009). Electronic Lecture on 'Global Social Policy: A Welfare Regime Analysis'. Part of the Centre for the Analysis of South African Social Policy electronic lecture series on social policy 2009. Gough, I. 2008. European welfare states: Explanations and lessons for developing countries. In Inclusive States: Social policy and structural inequalities (A Dani and A de Haan, eds), Washington, DC: World Bank. Wood, G., & Gough, I. (2006). A comparative welfare regime approach to global social policy. World development, 34(10), 1696-1712. Wood, G., Gough, I.,Barrientos, A., Bevan, P., Davis, P., & Room, G. (2004). 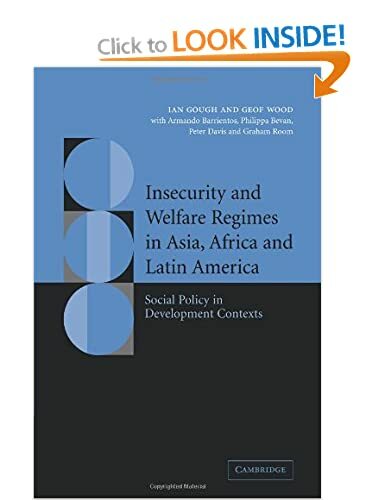 Insecurity and welfare regimes in Asia, Africa and Latin America: Social policy in development contexts. Cambridge University Press. Gough, I., Runciman, G., Mace, R., Hodgson, G., & Rustin, M. (2008). Darwinian evolutionary theory and the social sciences. Twenty-first century society, 3(1), 65-86.